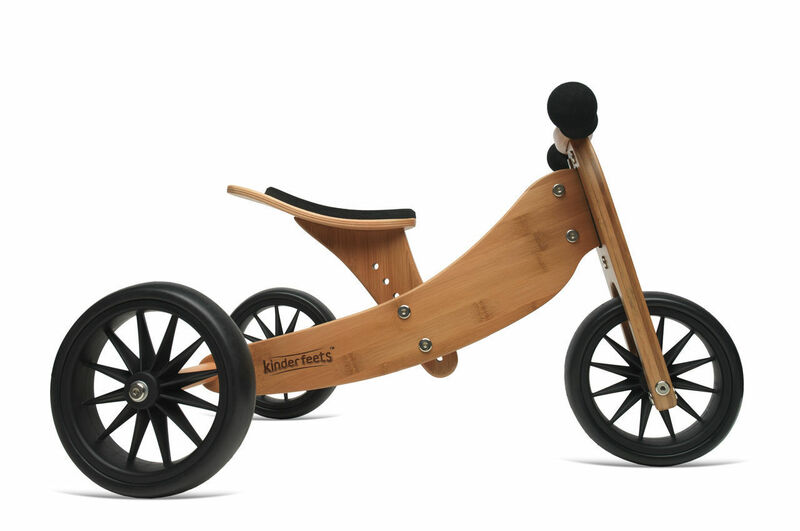 Possibly the most beautiful 2-in-1 balance bike and trike you've ever seen. Manufactured from lacquered bamboo wood. 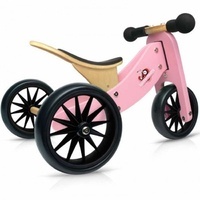 Kinderfeets Tiny Tots Trike is the smallest 2-in-1 balance bike on the market. 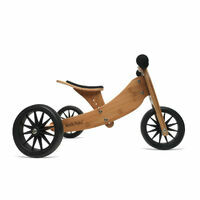 One year olds can start with the Tiny Tot as a trike. 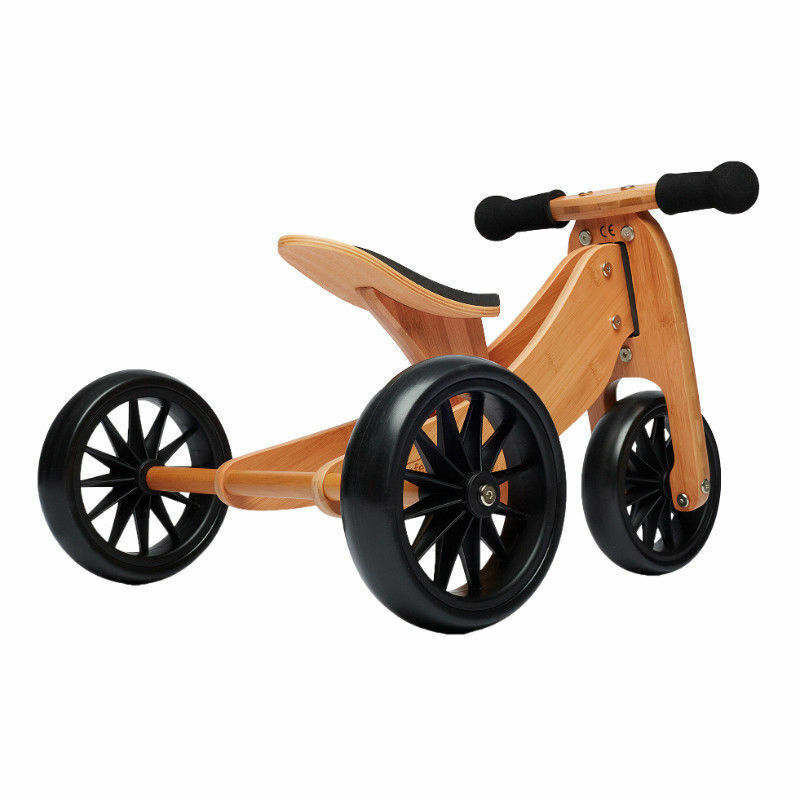 With three wheels they can learn how to use their feet to get moving. 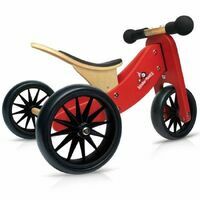 When a parent feels the child is ready, the Tiny Tot converts easily from a trike to a 2-wheel balance bike. Patented Dutch inspired, low, step-through frame which places children's feet closer to the ground so they feel safe. Extra wide base and 7-inch tyres for great driving comfort and easy balance. Adjustable, cushioned seat. Height 22.8 to 29.2cm. Handle bar grips feature hand protection bumpers. 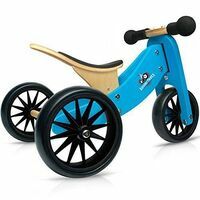 Easy to convert from a tricycle to a 2-wheel balance bike! 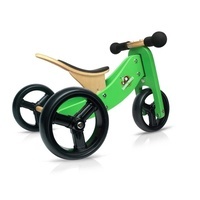 Easy enough to put together but even easier to use - 1 yo could use the trike straight away, before he could walk.